To read more about the renovation and ribbon cutting, check out the Westerly Sun article and New London Day article. Big improvements are coming to the COMO! The COMO is undergoing a major remodel, as it renovates the interior of its 47-year-old main building. The project will be implemented in three phases over the course of eight months. Facility upgrades will include security enhancements and updates to ensure the building is ADA compliant. The COMO will remain open and continue to provide programming throughout construction. Since its founding, the COMO has been dedicated to serving the youth and adults of our vibrant community. It is paramount that we further improve our infrastructure, ensuring that we can continue to serve families, neighbors and friends for generations to come. This major renovation project is the result of a strategic planning process, completed with the assistance of Jacunski-Humes Architects, that identified both areas of need and potential growth. Jacunski-Humes Architects is a Berlin firm that has designed many school projects across the state, including ones in the Stonington public schools. 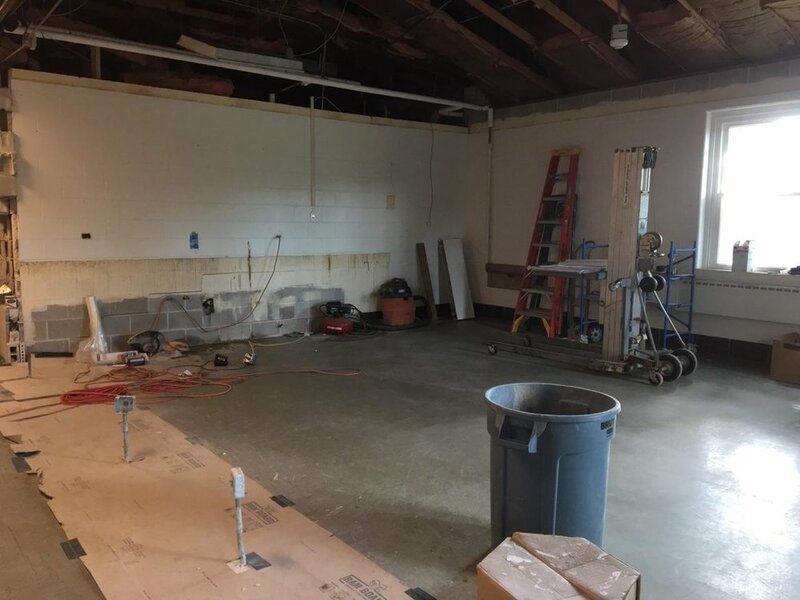 The remodel includes security and handicapped access upgrades, the installation of air conditioning, the creation of a development office, bigger bathrooms and the renovation of two classrooms- including an expanded preschool classroom. The COMO is funding the renovation in partnership with the USDA Rural Development Agency's Community Facility Loan Program, qualifying as a childcare facility and nonprofit community resource. The COMO also thanks the Town of Stonington for its support of the COMO throughout the renovation process. 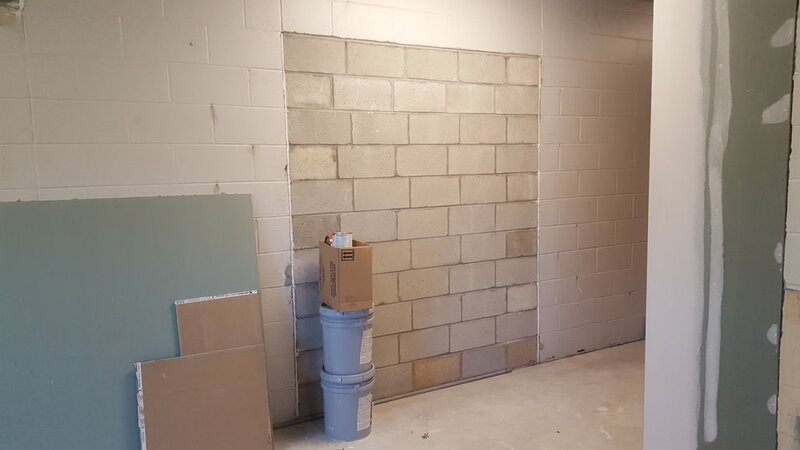 PHASE I: Construction will first focus on remodeling a new preschool room with a bathroom. The COMO renovation project will ensure that the building is ADA compliant - providing accessibility for all - and to enhance security of the building. This first phase, shaded magenta, is scheduled to span three months. 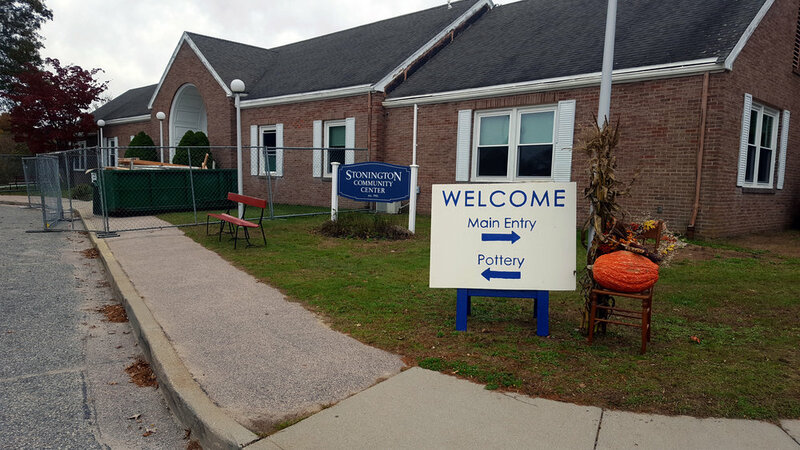 Phase I will include exterior access to the preschool room, a pathway to the playground and a new pathway to the newly renovated pottery studio. PHASE II: Phase II will concentrate on the remodel of the front entry. As notated by the purple shading, this portion will provide new entry doors, bathrooms, reception and offices. Slated to take four months to complete, Phase II will also provide ramp entry to our building, making the building ADA compliant. A new secure vestibule will also be constructed. PHASE III: The renovation culminates with a one month long portion of the remodel, shaded teal. The first goal of Phase III is to remodel a new room to serve COMO middle school programs, currently known as IMPACT. The second is to construct a development office. Phase III, like previous phases, will concentrate on providing ADA compliant accessibility throughout the COMO, as well as enhance security features. June 11, 2018 - Check out the New London Day's article about the ribbon-cutting ceremony for the renovation of our main building. April 2, 2018 - Phase II is nearing completion as COMO staff have moved into the newly renovated administration offices and visitors can now use the new entryway. Aside from overall enhanced infrastructure, some of the specific improvements made to the facility during this phase include renovated bathrooms, a viewing window into the gym for families to watch youth sports programs, ADA compliant ramp entry and security upgrades. The new exterior and vestibule doors as well as arch interior window, will be installed during Phase III. The office reception is now located directly to the customer’s left upon entry. Phase III, which will include remodeling a new room to serve COMO middle school programs, constructing a development office and continued work to provide ADA compliant accessibility throughout the COMO and enhance security features, will begin in early April. November 7, 2017 - We are thrilled to announce that we have progressed to Phase II of our renovation project! During this exciting phase, the renovation will focus on our front entry, lobby, and office suites. 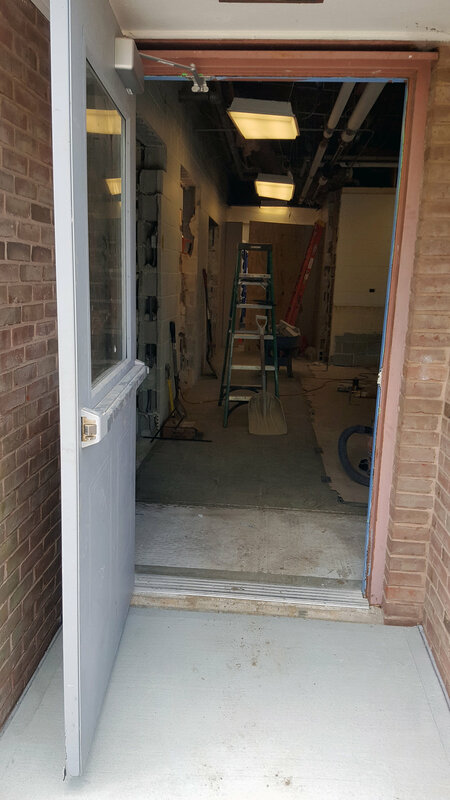 Access to the building will now be through our side door and our front office is located in the first door to your left. While the main building will be closed to all activities during Thanksgiving week, thanks to careful planning and safety structures, we will predominantly remain open during all phases of renovation! August 7, 2017 - Preliminary outdoor and indoor staging began. Work on Phase I renovation of the IMPACT classroom and hallway has begun. July 11, 2017 - The project is slated to begin by the end of July 2017. Contractor, G. Donovan Associates, will implement outdoor staging and begin work on phase one of the project. The COMO will be using GoodHire, a leading provider of on-demand employment background checks, to run background checks on workers. In addition, a range of safety barriers including fencing, temporary walls and more will be erected to keep children out of construction areas and to redirect the flow of individuals in the building. Review the Mystic Air Quality Report conducted for Phase I, Phase II and Phase III of the project. Outdoor fencing around Phase I of COMO 2017 renovation project. Phase I of 2017 COMO renovation transforms old IMPACT classroom into new COMO Preschool room.